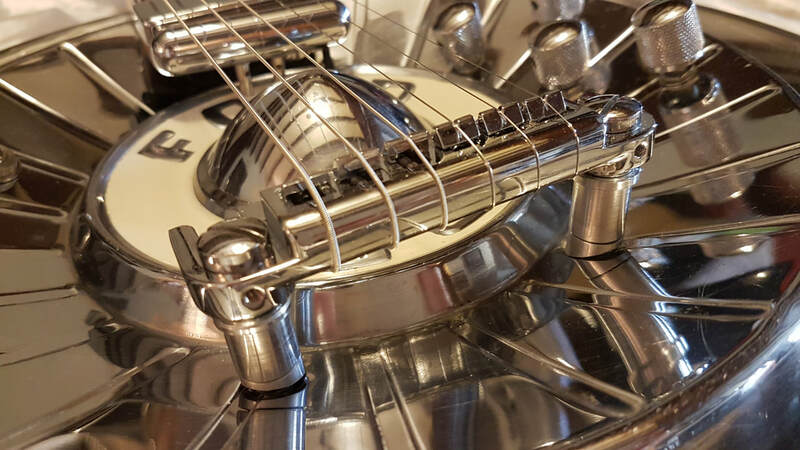 ​This is a 1957 cream Ford Thunderbird hubcap guitar, shown here with a neck-mounted jazz humbucking pickup and a surfing-style lipstick pickup . The body is made of oak with spruce linings and a marine ply substructure. The neck is maple with a satin finish and a rosewood fretboard. This design incorporates an unusual all-in-one tunomatic bridge and tailpiece, mounted on an H-frame support, connected directly to the substructure of the body. To watch a video of Smokehead 9 click here.